Coralie Mary Marshall (née Richardson) passed away peacefully at the age of 90 surrounded by family and friends at her home in Cedarvale Lodge in Keswick, Ontario on February 10, 2019. Predeceased by her husband Duncan Wright Marshall. Loving mother of Jim Marshall (Teri) and dear stepmother of Susan Stevenson (Wayne), Wendy Shelley (Richard), Bob Marshall (Dale) and Shelley Dorman (Steve). Dear sister of Kathleen Tier (Roy, deceased), Joyce Julian (Peter) and predeceased by her sister Elsa Richardson. Cherished Gran of John, Andrew, Adrian, Bronwen, Meghan, Rachael, Duncan, Shawn, Elise, Keiffer, Burke, Kiera, Daelan, Gallagher and predeceased by grandsons Robert and Christopher. Loving GG (Great Gran) of Anastasia, Shayle, Temperance, Ehmber, Kian, Ava, Piper, Jack, Quinn and Camryn. Cherished Auntie and cousin to her special relatives in England. Born in London, England on May 23, 1928, Coralie had a full life. After the war she attended secretarial school. She later joined the Women’s Royal Naval Service and was stationed in Cornwall. Coralie then did her nursing training at the Royal Sussex County Hospital and went on to do her midwife training in London. 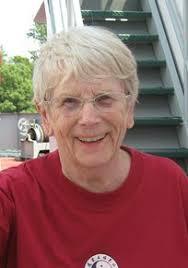 She met Duncan on a nursing assignment in Sudbury, Ontario and they were married in England in 1964. She moved to Montreal and had a busy life raising 5 children. Coralie and Duncan spent their time between Montreal and Amherst Island where they built their retirement home. 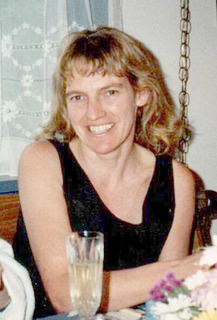 Coralie retired to Amherst Island with Duncan in 1983. She was actively involved in the Women’s Institute and St. Paul’s Presbyterian Church. She joined the art group, took T’ai Chi and was active in island life. She moved to Cedarvale Lodge in Keswick, Ontario in 2016 and made many friends. Always singing and being dramatic with the residents and staff, she proudly took on the nickname of “Broadway”. Coralie was kind, caring, very outgoing and had a great sense of humour. She loved music, flowers, gardening and having a cup of tea with friends. She will be sadly missed. Many thanks to the staff at Cedarvale Lodge and to her dear friend and caregiver Ann Marie. Visitation will take place on Sunday February 17, 2019 from 3 to 6 pm at JAMES REID FUNERAL HOME, 1900 John Counter Blvd, Kingston. The funeral service and celebration of life will be held at 11:15 am on Monday February 18, 2019 at ST. PAUL’S PRESBYTERIAN CHURCH in Stella, Ontario on Amherst Island with interment to follow in Glenwood Cemetery. In lieu of flowers, please make a donation to a charity of your choice. In loving memory of Charles Plank. Born in Rome on September 17, 1924. Passed away at his home on Amherst Island on December 30, 2018. TUGWELL, Jean Muriel (nee Wemp) – Peacefully at the Helen Henderson Care Centre on Wednesday, February 14, 2018, in her 93rd year. Predeceased by her beloved husband Earle Tugwell, her son Jeffrey, her sister Helen Miller and her brother Ralph Wemp. Survived by her brother Neilson Wemp of Kelowna, B.C. and by her sister Marjorie Tooke of Hamilton. Fondly remembered by many nieces and nephews and their families. Cremation has taken place. A Memorial Service will be held at a later date. In memory of Jean, donations to Cystic Fibrosis Canada would be appreciated by the family. Arrangements entrusted to the PAUL G. PAYNE FUNERAL HOME , 178 Main St., Odessa, Ontario K0H 2H0. Beloved husband of Janet (nee Apps), father of Andrew (Erika), Richard (Krysta), Carly (Matt) and Cameron (Morgan). Loving Papa to Abby, Charlotte, Stella, Henry and Thomas. Reception to follow at The Lodge, Amherst Island. In lieu of flowers, donations to St. Paul’s Presbyterian Church or McMaster Medical Research Dept would be appreciated. (Retired Captain – Amherst Island Ferry) Peacefully at the L&A County General Hospital on Saturday, January 14, 2017, one day following his 86th birthday. Loving husband of Elaine (nee Miller) for 63 years and cherished father of Brent and his wife Roxanne, all of Amherst Island. Sadly missed by his grandson Dakota. Survived by his brothers, Howard (Darlene) of Winnipeg, Leonard (Doreen) of Kingston and Ellis (Marylou) of Sydenham. Predeceased by his brothers Donald (late Ethel), Arthur (Kay of Florida), Ernie (late Betty) and Henry. Fondly remembered by his brothers and sisters-in-law and many nieces and nephews and their families. The family will receive friends at the Paul G. Payne Funeral Home, 178 Main Street, Odessa (613-386-7373) on Wednesday from 6-8 p.m. Funeral Service at St. Paul’s Presbyterian Church, Amherst Island on Thursday, January 19 at 11 a.m. Interment Glenwood Cemetery. Memorial donations to St. Paul’s Presbyterian Church (Memorial Fund) would be appreciated by the family. In Kingston, on December 15, Sid Alport, in his 90th year, beloved husband of Myrna Lees. Son of the late Wayford Alport and Ethel Arthur. Brother of Barbara Duncan (the late Bill) and predeceased by his sister Eileen Watson (the late Glen). Fondly remembered by his nephews and nieces, especially by Corrie and Chris Gatien. Friends will be received at the James Reid Funeral Home, 1900 John Counter Boulevard on Saturday, January 7, from 10:00 am to 11:20 am with the funeral service following in the chapel at 11:30 am. Private interment of his ashes to follow in the spring at Sand Hill Cemetery, Battersea, and at Tonti Wood, Amherst Island. Memorial donations to the University Hospitals Kingston Foundation would be deeply appreciated by the family. McGinn, John Edward Terence (1954 – 2016) – Longtime employee of Amherst Roofing and Sheet Metal (42 yrs.). It is with great sadness that we announce the passing of a dear husband, father, grandfather, brother and uncle after a battle with cancer. Loving husband to Susan (nee MacRow). Dear father of Jessica McGinn (George). Caring grandfather of Lincon. Cherished son of Cora, and predeceased by his Dad, Keith. Dear brother of Larry (Trudy), Eric (Janice), Leon (Joanne) and Kelly (Maureen). Amazing uncle to Terry, Tricia (Andy), Ryan (Angela), Bill (Lindsay), Kendra, Brent (Caitlin), and Ashley, and Special great uncle to Mariah, Clayton, Riley, Jayden, Charlee, Shay and Keegan. Predeceased by sister Yvonne and nephew Troy. The family will receive friends at Wartman Funeral Home “Kingston Chapel” (980 Collins Bay Rd) on Wednesday, June 29, 2016 from 4-7 p.m. Funeral Service at St. Paul’s Presbyterian Church, Amherst Island on Thursday, June 30, 2016 at 11:00 a.m. Interment at Glenwood Cemetery, Amherst Island. Memorial donations may be made to U.H.K.F Cancer Centre in memory of Terry. It is with great sadness that we say goodbye to Stanley Louis Burke who passed away May 28 at age 93, after living an extraordinary and happy life. An original thinker with a passion for adventure, Stan was a genuine newsman who always sought the truth behind a story. Loving and kind, he will be greatly missed by his family: wife Peggie Coulter Burke of Amherst Island, Ontario; his children Brian, Kerry, Holly and Randy Burke of Vancouver, British Columbia; step-children Diana Coulter, Carolyn Coulter and Sheila MacNicol; as well as 13 grandchildren, seven great-grandchildren, and his former wife Daphne Burke. Born in Vancouver, Stan was a proud graduate of the Little Flower Academy, St. George’s School, and the University of British Columbia. During the Second World War at age 21, he was one of the youngest Canadian naval captains. Later, he became a CBC newsman, foreign correspondent and anchor of The National News. Throughout his career, he contributed to many important international stories such as the construction of the Berlin Wall, meetings at the United Nations with Nikita Khrushchev, former premier of the Soviet Union, and the ground-breaking environmental documentary, The Air of Death. In his latter years, he worked on a book inspired by Marshall McLuhan’s theory of communications. A celebration of Stan’s life will be held Wednesday, June 1, 2016., 2 pm at St. Paul’s Presbyterian Church, Amherst Island. As Stan always signed off: “And that’s the news.” Donations welcome to The Alzheimers Society or World Wildlife Fund. Wednesday June 1 2016 at 2:00 pm. The service will be about 90 minutes. Following the service Peggie Coulter-Burke and family invite guests to gather The Lodge 320 McDonald’s Lane. For guests from the mainland the Ferry leaves the dock just west of Millhaven on the half hour (12:30, 1:30 and so on) and returns on the hour (4:00, 5:00, and so on) Fee is $9 return per car. A reminder that there are no services on the Island (no gas, no store). HENDERSON, Doris Elizabeth (nee McDonald) – Died on Sunday, April 24, 2016, at Kingston General Hospital at 91 years of age. Her final struggle was difficult, more than she anticipated but efforts of a loving and supportive family as well as a compassionate Connell 9 staff, timely visits by Rev. Bill Clark of St. Thomas’ Anglican Church and the care of the Helen Henderson Retirement Lodge staff, hopefully helped her. Her forum for a quicker and compassionate passing was constantly expressed, by her and others, over the last 3 weeks. She was the daughter of Florence and Edwin McDonald of Amherst Island. 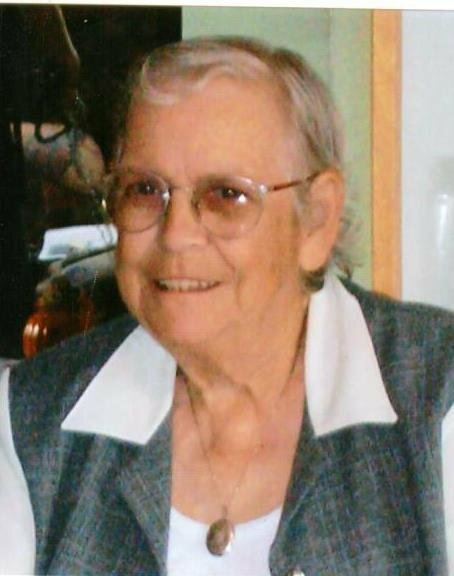 Doris was the loved and loving wife of W. D. (Bill) Henderson (deceased) formerly of Amherst Island; friend and travel companion James Morrison (deceased), also loving mother of two sons Richard (Doris Salter) of Odessa, and Anthony (deceased). 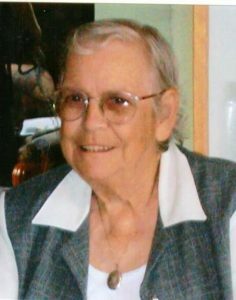 She is also survived by five grandchildren and six great grandchildren all of whom she loved dearly; Grandchildren, Kerri Skene-Ashurst, Ryan Henderson, Lindsay (Dan) Cunningham, Jeffrey (Ashleigh) Henderson, Matthew Paul Henderson (Christie), and Great-grandchildren,Tanner Ashurst, Owen Henderson- Hahn, Ty Cunningham, Ethan Henderson, Zander Henderson and Finn Henderson. Doris was the younger sister of Garnet and Roger McDonald (both deceased). 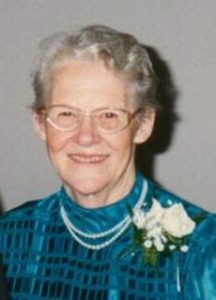 Sister-in-law of Marion McDonald , dear aunt of Douglas and Bruce McDonald, Alison (deceased) (Peter)Williams and Sarah and Geoffrey Williams, all of Ottawa. Also survived by niece, Carol (Herman) Langwald, and great aunt of Joe (Sabrina) Langwald and Mika of China, Tammie (Wally) Stanton and Emma, Damien, Lillian, and Molly, of Kingston. Also surviving are Sally Skene ( Filson) Kerri’s mother, Gayle (Percy) Ryan’s mother and Lynne Henderson (Stanton) mother of Lindsay, Jeffrey and Matthew Paul. Doris taught school for 35 years plus, thirty of those were spent in R. Gordon Sinclair Public School in Reddendale. She was a member of Kingston Meistersingers, Domino Theatre, Kingston Senior Centre, Interesting Years Senior card playing Group, Creative Writing group and Toastmasters. She enjoyed attending theatre as well as acting in some shows at the Grand, Domino and Selby Theatres. Playing cards, oil painting, woodcarving and visiting were other activities that Doris enjoyed. Loved and remembered by family, other relatives and friends. She always loved meeting former pupils to hear about their family and where they had chosen to work. Friends will be received at the JAMES REID FUNERAL HOME , 1900 John Counter Boulevard on Friday, April 29 between the hours of 11:00 a.m. and 1:00 p.m. followed by a graveside service at Glenwood Cemetery on Amherst Island at 3:00 p.m. The Venerable Bill Clarke officiating. A reception will follow in St. Paul’s Presbyterian Church Hall. In lieu of flowers, if desired, donations may be made to The Heart and Stroke Foundation, The Lung Association, Kingston’s Residential Hospice Campaign or charity of your choice. With great sadness, the family announces the passing of Neil on October 26, 2015 at Kingston General Hospital at the age of 75. Beloved father to Candice Warren and her husband John and Leanne Primeau and her husband Wayne. Loving grandfather to Mason, Madison and Manning Primeau. Beloved former husband of Carolyn Johnston and partner Bernice Gould. Dear brother of Susan McCoy, Jason Johnston, the late Carolyn Todt and the late Douglas Johnston. Cherished uncle to Eric and Ann and Kevin and Craig. Neil will be greatly missed by many extended family members and dear friends. A Memorial Service will be held next month on Amherst Island, his home for the past 15 years. A private Celebration of Life will be held in Toronto at a later date. If you would like to make a donation in memory of Neil, please consider the Kingston General Hospital. Haines, Ross Arthur – Died at Kingston General Hospital in his 76th year. Cherished husband of Joyce Haines. Beloved Father of Kerry (Ed), Scott (Cheryl) and Joanne (Jim). Grandpa to Samantha, Michael, Ashley and Christopher. Funeral to be held at St. Paul’s on Wednesday July 15, 2015 at 2:00. Reception in the Church Hall following. Following the reception at St. Paul’s all are invited back to the Haines’ log home at 2860 Front Road which Ross built with Joyce and loved. KILPATRICK, Clinton Gryce – Peacefully passed away at Fairmount Home For The Aged, Glenburnie on Friday July 3, 2015 in his 81st. year. Beloved son of the late John and Annie (McKee) Kilpatrick. Dearly loved by Warren & Laureen Kilpatrick of Amherst Island, Marlene Kilpatrick of Winnipeg, Brennan & April (Pattullo) Kilpatrick of Kingston, John & Laurie (Kilpatrick) Moolenbeek of Amherst Island, Kevin & Susanne Kilpatrick of Brewers Mills, Mark & Betty Kilpatrick of Stouville and their families. He will be missed by his cousins, neighbours and friends. Many thanks to the Nurses, PSW’s and Staff of Fairmount Home for their excellent loving care of Clinton. Funeral Arrangements entrusted to The WARTMAN FUNERAL HOME “KINGSTON CHAPEL”, 980 Collins Bay Road, Kingston, Ontario. The family will receive friends at St. Paul’s Presbyterian Church, Amherst Island on Thursday, July 9th from 10 – 11:00 a.m. followed by Funeral Service at 11:00 a.m. Interment. As expressions of sympathy, memorial donations by cheque to St. Paul’s Presbyterian Church, Amherst Island or the Kingston Food Bank would be appreciated by the family.